ASUS today launched a Skype Certified touchscreen videophone dedicated to unlimited video calling over the Internet—the ASUS Videophone Touch AiGuru SV1T. Part of the videophone product family, it is the first to feature a large 7" touchscreen, greatly speeding up character input and making any video calling experience more intuitive and fun. The touchscreen works in tandem with the standalone device's built-in webcam, speaker, microphone and Wi-Fi capabilities to let users make unlimited video calls for free to other Skype users without the need for a computer. This latest version expands and improves upon the first generation ASUS videophone announced last year. The ASUS Videophone Touch AiGuru SV1T's simple-to-use, icon-based touchscreen interface takes the complexity out of Internet calling—making it easy for anyone to make and receive Skype-to-Skype video and voice calls. Users can even participate in conference calls, making the ASUS Videophone Touch AiGuru SV1T an inexpensive, all-in-one voice and video conferencing solution for small businesses. Furthermore, the ASUS Videophone Touch AiGuru SV1T allows users to make calls to fixed and mobile lines at really cheap rates; users can also receive calls from any land or mobile phone line if they have an online Skype number. "Skype goes beyond traditional voice calling and brings people closer through rich, real-time video communication," said Manrique Brenes, Skype's director of business development and product management for consumer electronics. "The device's touchscreen makes video calling an even easier and more accessible way for people to communicate. It offers the benefits of Skype video calling and exceptional audio quality—allowing friends, families, and small businesses to share their worlds face-to-face without being tied to a computer." With the ASUS Videophone Touch AiGuru SV1T, free unlimited video and voice calls can be made to anyone on Skype. This lets users make Skype-to-Skype calls whenever the need arises, without having to worry about costs. 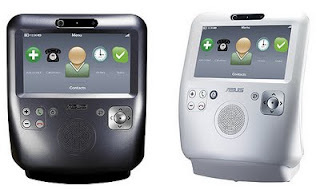 ASUS Videophone Touch AiGuru SV1T users can also receive calls from Skype users who don't have a videophone. ASUS Videophone Touch AiGuru SV1T users looking to make calls to fixed and mobile lines can subscribe to one of Skype's popular unlimited calling* subscriptions or purchase Skype credits at www.skype.com. The ASUS Videophone Touch AiGuru SV1T is designed specifically for video calls and is equipped with a large, high-resolution 7" touchscreen and an integrated webcam for greater video call quality. Its built-in microphone and speaker also ensure exceptional sound quality; users who wish to maintain their privacy during calls can opt to use a standard mini-jack headset and microphone. The ASUS Videophone Touch AiGuru SV1T is as easy to use as it is to set up. Its intuitive icon-driven touchscreen interface enables the speedy keying-in of characters, allowing for fast contact searches and the inputting of new contact information. With its Wi-Fi capability, small footprint and rechargeable battery power supply, the portable ASUS Videophone Touch AiGuru SV1T does not need to be tied to a wall socket nor a computer during use. 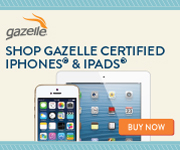 It can be moved from room to room without the hassle of interrupting or dropping a call. The ASUS AiGuru SV1T is currently available from several retailers with a starting price of $299.